The first blonde said "This is such a great spot, we need to mark it so we can come back." The second blonde proceeded to put a mark on the side of the boat. The first blonde asked "What are you doing?" 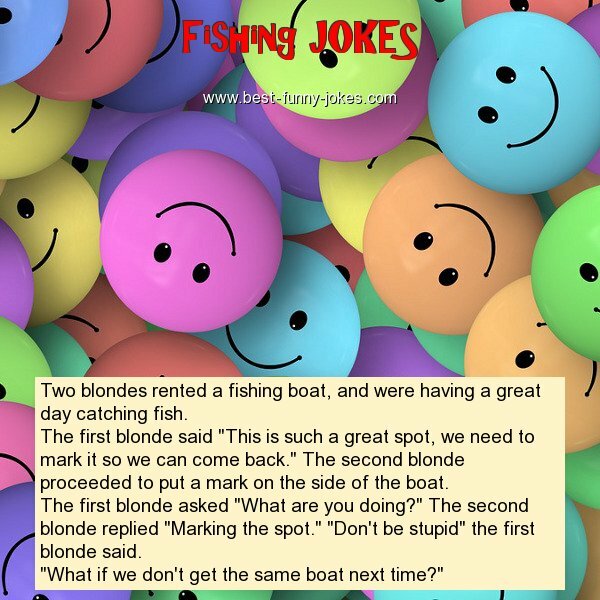 The second blonde replied "Marking the spot." "Don't be stupid" the first blonde said. "What if we don't get the same boat next time?"